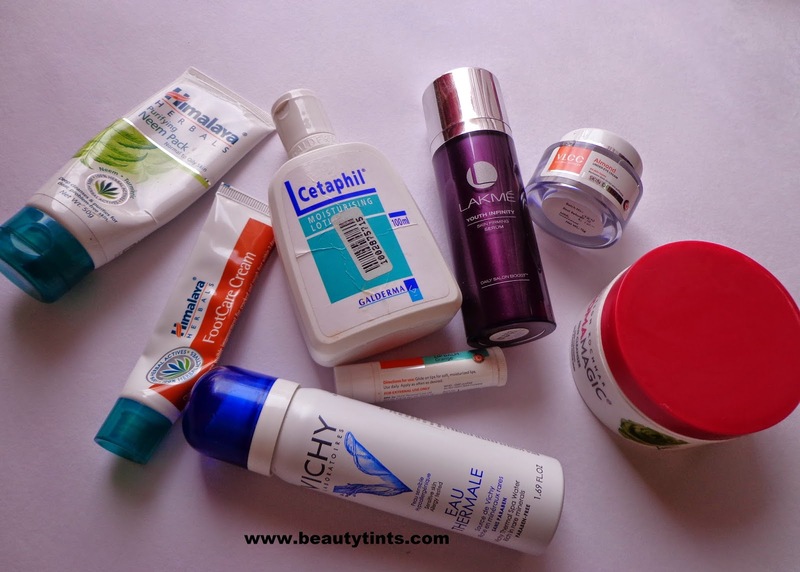 Sriz Beauty Blog: June Month Empties!!! 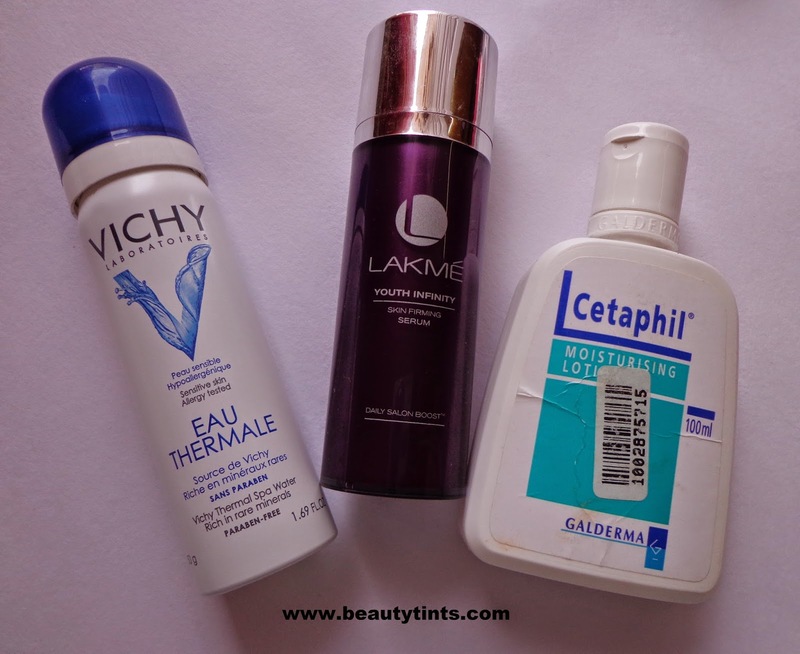 I thought of doing this post in the first week of this July itself ,but it got postponed every time and now finally I am doing this post.I have many empty products this month and I discarded some and so I am showing only few empties in the picture. 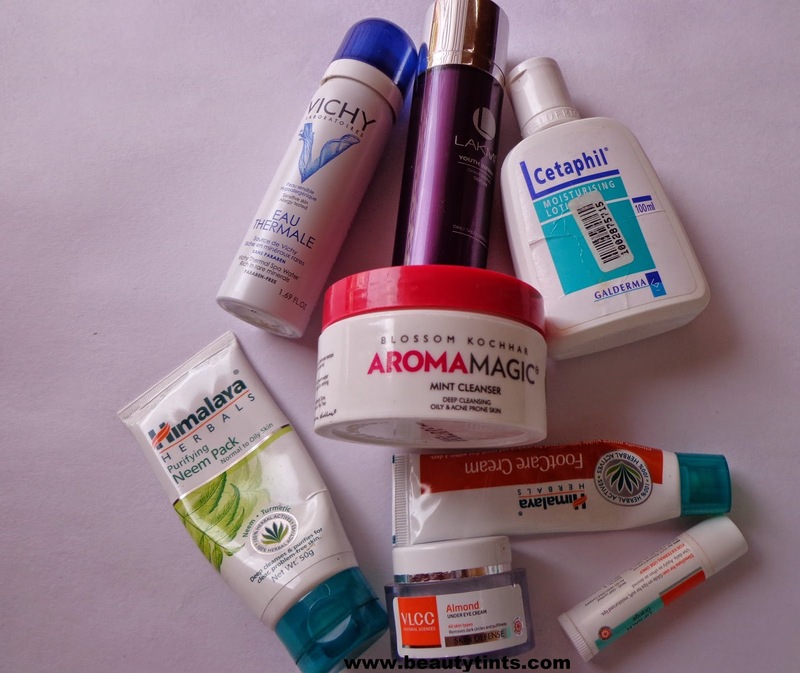 I have reviewed all these products before.I am giving the link beside each product name.You can check my review by clicking the link. 1) Cetaphil Moisturizing lotion : This is a one of this best daily moisturizer I have used so far,it took me almost 3 months to finish it as very little amount is sufficient for each time and so it lasts for more than 3 months.Total worth for the price.You can read the complete review here. 2)Lakme Youth Infinity Skin firming Serum : This is one more product which is worth trying and so far the best serum which improves the skin texture and gives a nice glow to the face.You can check out the review here. 3)Vichy Eau Thermale : I absolutely love this Vichy Thermal Spa water,I have used it as an toner,face freshener and sometimes as a makeup finishing spray.I just love to keep one bottle every time with me and so I ordered one more.You can see the review here. 4)VLCC Almond under Eye cream : This is one of my default eye cream,I am using this from past 2 years when my dark circles were mild.It worked efficiently and helped in lightening them.You can check out the review here. 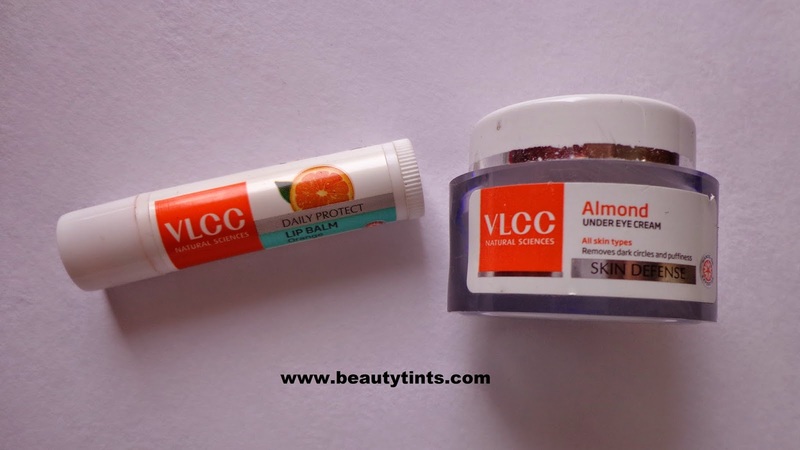 5)VLCC Daily Protect Orange Lip Balm : This is a very good budget friendly lip balm with SPF 15.You can check out the review here. 6)Aroma Magic Mint Cleanser : This is my HG cleanser,I always keep one tub always with me.This is the super best cleanser for oily-combination skin.You can check out the review here. 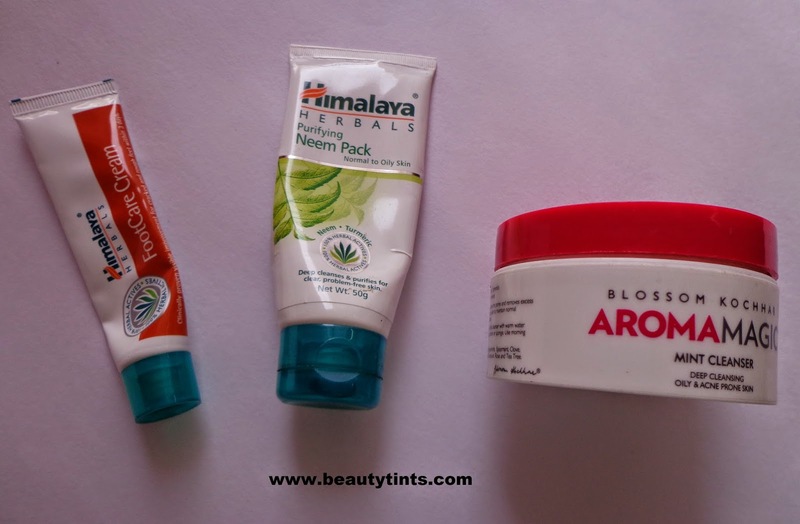 7)Himalaya Neem Face Pack : I use this pack when ever I face breakouts,which happens occasionally. Check out the review here. 8) Himalaya Foot care cream : This is also one good foot cream at an affordable price.You can check out here.